This article was originally published on Mormon Hub on November 6, 2016. Minor edits have been made. People find a way to make time for the things they want to do. Which is probably why I never found much time to read my scriptures. I’d never really understood the scripture, “Feast ye upon the word of Christ,” before my mission. I’d always loved the Book of Mormon and the Bible because I knew they contained God’s word, but when it came to actually reading them? I wasn’t so into that. I’ve never really been good at math, but I was good enough to know that scriptures + me = boredom. I willingly attended seminary and subsequent activities like mutual and institute. I even took classes on the scriptures during my time in college, but I still couldn’t help but sit there slack-jawed when people would express how much they loved reading their scriptures. I wondered if they loved it as in “I love this and could read the scriptures all day, every day” or if they loved it in a “I love working out because it’s good for me but I actually want to cry when I get on the treadmill” kind of way. Even though I may not have been the world’s most enthusiastic scripture reader, I still loved the gospel. I knew it was true and that it brought so much light, hope, and joy into my life. So I decided to serve a mission. I’ll admit it: my attitude toward the scriptures wasn’t the best even after I’d been set apart as a missionary. I’m from the East Coast, so I was set apart there. After I was set apart, I would fly to Utah where my siblings would pick me up and take me to the MTC. I’d flown countless times in my life, but I knew this time would be different. I couldn’t just ignore the person sitting next to me and put my earphones in. I couldn’t just listen to whatever music I wanted. If you imagined me suggesting that in the same tone someone might use to ask, “You don’t brush your teeth?” then you are correct. Despite my dad’s sarcasm, the thought of reading my scriptures for such a long stretch of time gave me the same sense of dread I felt every time it was my turn to wash the dishes. 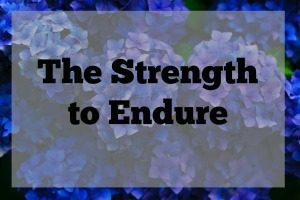 It would be long and boring, and my mind would undoubtedly wander to more interesting topics, such as what Pinterest workouts I could do to keep me from doubling my body weight as a missionary. Now it’s important to understand something: as a missionary, you spend at least two hours every day in study. 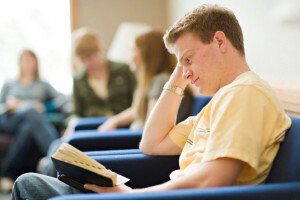 You typically spend one hour in personal study and then another hour studying the scriptures, Preach My Gospel, etc. with your companion. 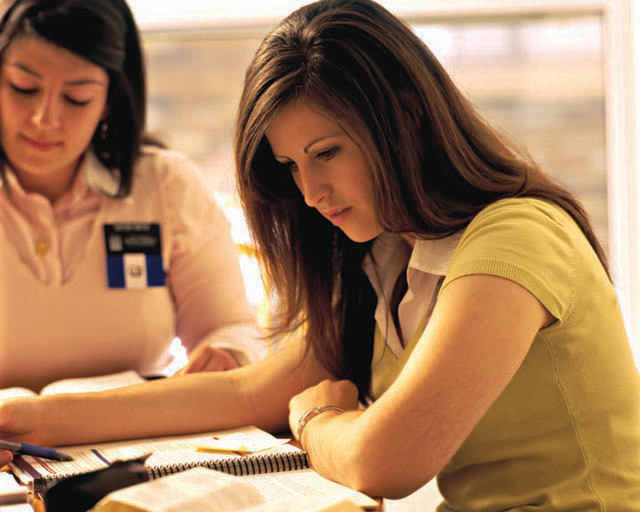 When I arrived at the MTC, I was blessed to have wonderful teachers that helped us study the scriptures for hours every day. They taught us how to use them to answer questions. 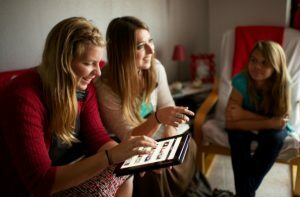 We would role-play situations where people we were teaching would ask questions that could be answered with different scriptures; it was just up to us to find them. As I began to search the scriptures even more deeply upon entering the mission field, I started to find answers to our investigators’ questions. I began to find answers to my own questions. 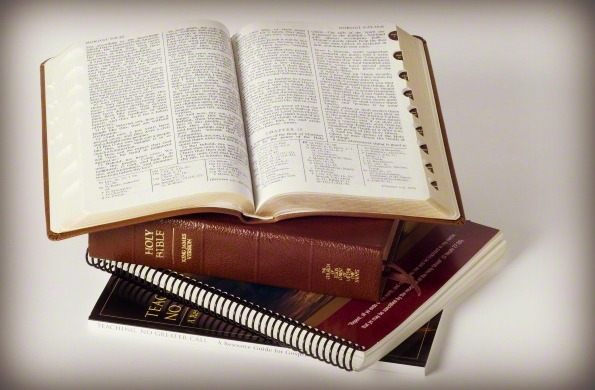 I felt a stronger connection to and love for the people in the scriptures, especially the prophets. And I loved it. It’s no coincidence that when, for the first time ever, I began to devote an hour every day to reading my scriptures, I began to love them more fully. Studying my scriptures very quickly became more than something I just had to do. True, it was expected of me as a missionary, but no one was forcing me to do it. I wanted to. For the first time ever, I began to pore over the scriptures with such love and excitement. When personal study was over, I was always a little sad because I absolutely loved and needed that personal time studying the gospel each morning. I can practically guarantee that anyone who served a mission and faithfully studied the scriptures every day felt how I did. They began to love it. And for those who haven’t served missions but have made the scriptures a priority? I’m willing to bet that they feel exactly the same way. Because that’s the thing: I didn’t suddenly love the scriptures because I was set apart as a missionary. I didn’t magically wake up one morning with a desire to uncover the meaning of the grafting of the olive trees in Jacob 5. I didn’t become an entirely new person overnight just because I was a missionary. What happened is that I made the scriptures a priority. Reading them was important to me, and Heavenly Father knew that I was trying to study and learn. I wasn’t just reading my scriptures to check a box off of a list of things I was supposed to do before I went to bed. My focus had changed. I was reading them because I needed answers, whether it was for myself or someone else. I was reading them because I wanted the Spirit in my life in greater abundance. I was reading them because I recognized that studying them made my life better. As I’ve been home from my mission, my love for reading my scriptures has gone through occasional dips. And every single time, it was because I had stopped making them a priority. I had stopped reading with the intent to become better and to find scriptural application to my life. It was because I had let other things become more important than reading my scriptures. People make time for what they want to make time for, whether it’s watching the newest episode of The Voice or finding 30 minutes to go to the gym to squeeze in a quick workout. It’s pretty simple — if you really, really want to do something, usually you work to attain that desire whether or not it complies to your schedule. You find a way to make it work. Your circumstances do not define your spirituality. If you want to love the scriptures, make them a priority, even if you feel like you have no time. Maybe that means listening to them through your headphones while you’re at the gym or reading them for a little while on your lunch break. You set the amount of time that works for and inspires you, then stick to it. I didn’t know if I would ever love the scriptures, but I do now, and it was easier than I ever expected it to be. It didn’t come from memorizing a scripture every day or reading for hours and hours on end. It didn’t require reading 10 chapters a day or sometimes even one chapter a day. It didn’t come in the form of a huge, magnificent lightning bolt. It was simple and it was subtle. All it required was a little reading and a whole lot of showing God that I wanted to know Him.